It’s hard to believe that 2018 has already come and gone, but a new year is upon us. It has become something of a tradition for me to dedicate my last column of the year to making tech predictions for the upcoming year. I like to keep these predictions light and fun, while staying away from anything that is super-obvious (after all, that would be cheating). So with that said, here are five tech predictions for 2019. My first prediction is that Microsoft is going to unveil some sort of really big surprise at either its Build or Ignite conference. In case you are wondering, I am not basing this prediction on any sort of inside information, but rather on the company’s past history. Think about it for a moment. In 2017, Microsoft surprised Ignite attendees with the news that it had been working on a quantum computer. In 2016, the company announced Surface Studio and the Surface Dial. The year before that, Microsoft unveiled the HoloLens. In contrast, the 2018 Ignite and Build conferences did not include any announcements for anything that I would categorize as being completely unexpected. As such, I’m looking for Microsoft to try to wow attendees in 2019. Over the last year, Alexa, Amazon.com’s virtual assistant, has shown up in some rather unique places. Alexa has been integrated into home security products and cars, and it is even accessible through Windows 10’s Cortana interface. As such, Alexa has definitely asserted its dominance in the world of personal digital assistants. Given Alexa’s prevalence, I am guessing that Amazon is going to expand the Alexa API and turn Alexa into something of an Internet of Things (IoT) framework. Rather than having Alexa support bolted on to various products, I’m sure that Amazon would like nothing more than for Alexa to become a digital platform on which any number of connected devices can be created. Over the last year or two, I have noticed two dynamically opposing tech trends. On one hand, it seems that almost every new consumer tech gadget is designed to spy on you in increasingly creative ways. On the other hand, I have received quite a few e-mail messages from readers saying that they have had enough of being spied on, and have begun unplugging various gadgets in an effort to reassert their privacy. My guess is that 2019 will see companies using the assurance of personal privacy as a marketing tool. The search engine DuckDuckGo already does this, as do iXquick and Start Page. I expect other types of tech companies, such as social networks, to begin trying to entice would-be subscribers by guaranteeing their privacy. 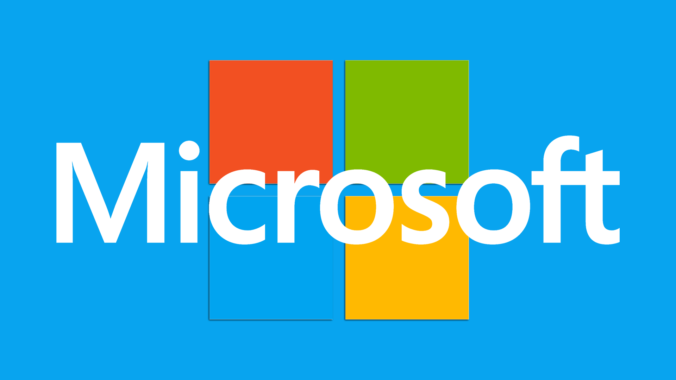 Another prediction is that in 2019, Microsoft is going to completely revisit its accessibility initiatives. I recently noticed that when I use Word, my document receives something of an accessibility rating. Right now, for instance, a message at the bottom of my screen says, “Accessibility: Good to go.” I have also been hearing rumors of an automatic closed-captioning feature being in the works for PowerPoint. My guess is that Microsoft is taking a hard look at accessibility across its products. I am predicting that we will soon see a number of new or improved accessibility capabilities added to Windows and Office. Windows’ accessibility features have remained more or less unchanged for quite some time, so it seems like a natural thing for Microsoft to revisit. Those of you who know me (or my work) know that I have never been one to play it safe. As such, I usually like to wrap up my year-end tech predictions by making one prediction that is really outlandish — or, dare I say, ludicrous. My off-the-rails prediction for 2019 is that we are going to see native support for running VMware virtual machines (VMs) added to Microsoft Hyper-V.
With so many companies running multi-hypervisor environments, it would be tremendously beneficial if Hyper-V were able to natively import VMware VMs. Even if Microsoft doesn’t take on anything quite so audacious, I certainly would not rule out the possibility of Microsoft creating a VMware-to-Hyper-V migration tool, or perhaps adding VMDK support to Hyper-V.